Joelle Leandre started playing recorder but quickly moved to piano and from the age of 9 to 14 studied both piano and double bass in her home town of Aix-en-Provence. Her double bass teacher, Pierre Delescluse, encouraged her to apply to the Conservatoire National Superieur de Musique de Paris where she won first prize for double bass. In 1976 she received a scholarship to the Center for Creative and Performing Arts in Buffalo, a time that was to prove particularly influential due to encounters with Morton Feldman, and the music of Earl Brown, John Cage and Giacinto Scelsi. At the same time, she was able to experience the downtown New York music scene and continue her involvement in improvised music. After listening to jazz (Mingus, Cecil Taylor, Monk, Dolphy), I quickly got into the free, improvised realm where, for me, Derek Bailey is extremely important, also George Lewis and Irene Schweizer, and for sure, Anthony Braxton. Meeting Derek in New York several years ago had nearly the same impact on me as meeting Cage (Kanach, 1991). 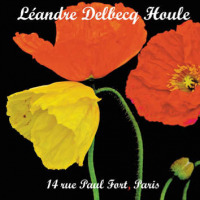 Leandre recorded with Bailey on Les douze sons and on the Company disc Trios, and has worked with a wide range of improvisors, for example: Maggie Nicols, Lindsay Cooper, Irene Schweizer, Fred Frith, Evan Parker, Eric Watson, Lol Coxhill, Peter Kowald, William Parker (described by Morris (1991)), and Barre Philips. 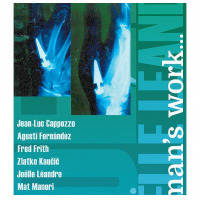 She is a member of the European Women's Improvising Group (recorded on Intakt 002). 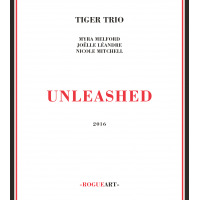 She has recorded one of the weirdest records (even by free improvising standards) in Les domestiques with Jon Rosea collection of domestic noises set to musical effectand more recently has formed The Canvas Trio with long-term associates Rudiger Carl and Carlos Zingaro. In 1994 Joelle Leandre was the DAAD (Deutscher Akademischer Austauschdienst) artist in residence in the city of Berlin; from November 1997 to June 1998 she took up a residence in Metz, north-east France teaching and giving master classes at academic institutions in the region and playing concerts with a range of improvisors that included Eric Watson, Lauren Newton, Carlos Zingaro and Paul Lovens. 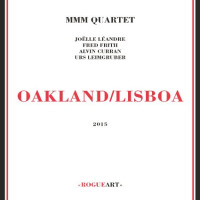 From September to December 2002 she was invited as visiting professor for improvisation and composition at Mills College, Oakland, California and this was repeated from September to December 2004 when she was visiting Darius Milhaud professor for composition and improvisation at Mills. All About Jazz musician pages are maintained by musicians, publicists and trusted members like you. Interested? 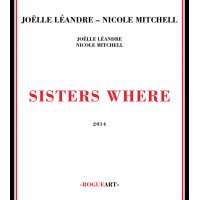 Tell us why you would like to improve the Joëlle Léandre musician page.